Discover the most beautiful places in Naples! Enjoy wonderful panoramas, take a walk in the historic centre or visit interesting museums. We show you the highlights in the wonderful city of Naples. 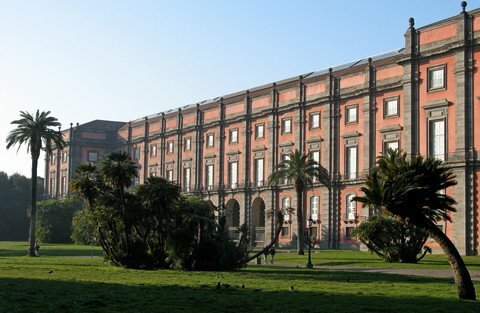 The heart of Naples is the historic city, which UNESCO declared a Cultural Heritage site. Its narrow vicoli (alleyways) lead to mysterious churches, catacombs and underground caves. Until today, Naples’ old folk culture reveals itself to the visitor among craftspeople, fluttering laundry and shouting fish sellers. One of the top highlights in Naples! Underneath the city lies up to 40 meters an 80-kilometer-long labyrinth of caves. Since 400 B.C., the caves have been used for may purposes: as secret places of refuge, cult sites, catacombs, and dumps. A trip to Naples’ underworld is a special experience and has in the meantime become an important part of the city tours. If you like nativity scenes and cribs and want to see really all about the Neapolitan Crib, you should definitely visit the famous street of the nativity scene makers, in Naples’s historic city, the Via San Gregorio Armeo. The largest archaeological museum in Europe with the most of the findings from Pompeii, Italy’s finest painting collections in the Museum of Capodimonte, the National Museum of San Martino with beautiful monastery yards and a terraced garden, from which the visitor has a breathtaking view on the Bay of Naples. All this you will see in the most important museums of Naples. Experience the colourful markets with their shouting sellers, many small boutiques and shoe shops, the historic centre, elegant shopping streets and, of course, the architecturally impressive Galleria Umberto I. Naples is a real shopping paradise for every taste and wallet! 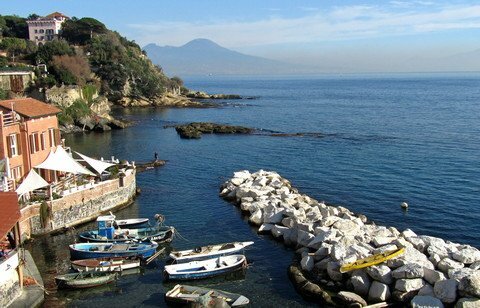 On Capo Posillipo, the furthest point of Naples, one can enjoy wonderful views of Pozzuoli and the islands of the Gulf. From the castle S. Elmo the other hand, you can have a breathtaking view of Naples and Sorrento Coast. Along the Seashore the Neapolitans like to do the traditional Sunday stroll and enjoy the view of Capri. At the small marina in front of Castel dell ‘Ovo, you can eat very well and enjoy a wonderful view of the sea and Vesuvius. After a walk on the Via Caracciolo, you can relax in one of the chalets in the gardens of the Villa Comunale. 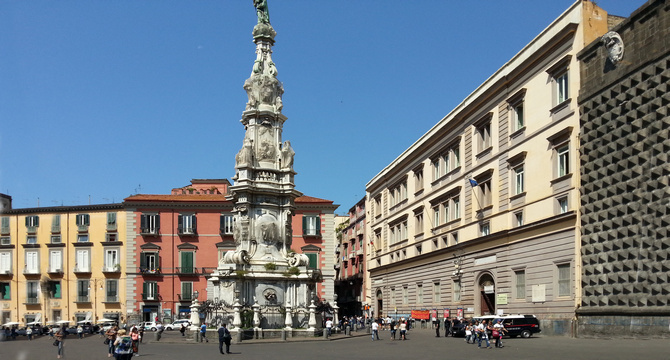 Naples and its surroundings offer many trip destinations that are well worth seeing. If you prefer exploring a city on your own rather than joining an organized tour, Naples is the right place for you. We show you the most interesting tours and trips.